The Department of National Defense (DND) Internal Audit Service Chief Atty. Ronald Patrick Rubin said that Armed Forces of the Philippines can still arrest Senator Antonio Trillanes anytime even without a warrant arrest. But due to respect with Senate President Tito Sotto's request AFP remained still outside the Senate premises. Rubin said that voiding the amnesty granted to Trillanes authorizes AFP to arrest him under military court. The court martials hearing of administrative cases against the senator for violation of Articles of War 96 (Conduct Unbecoming an Officer and a Gentleman) and Articles of War 97 (Conduct Prejudicial to Good Order and Military Discipline) which were suspended by the amnesty in 2011. “The acts for which he was charged happened while he was in active service. 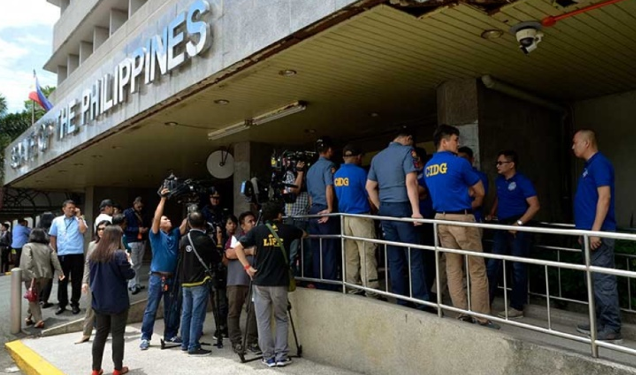 So although he is a civilian now the jurisdiction of the court martial was acquired while he was an active officer of the armed forces,” said Atty. Rubin. The AFP is currently forming a five-member general court martial that will hear the case of Trillanes. 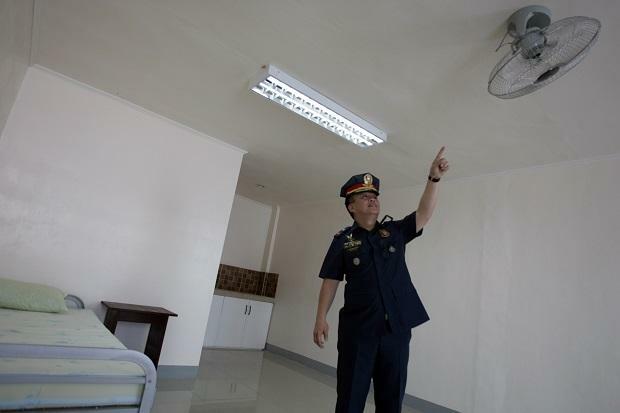 "Too hot and has rats and cockroaches, as described by Senator Ramon “Bong” Revilla Jr. of his detention cell. 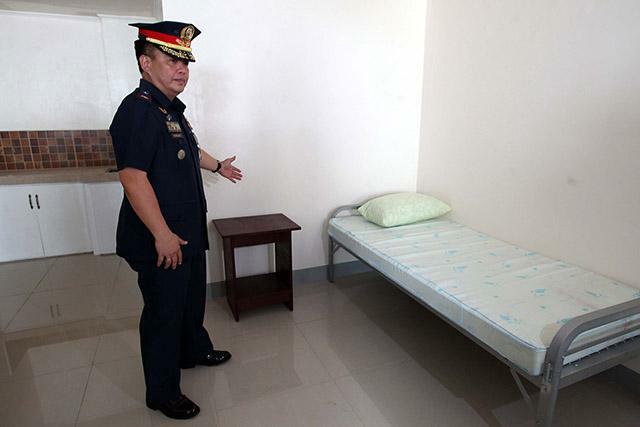 Meanwhile, Department of National Defense (DND) Spokesman Director Arsenio Andolong said that Trillanes detention facility has been prepared at the AFP Custodial Center inside Camp Aguinaldo and makes sure that there will be no special treatment to given for Trillanes. Anytime they are on standby at the Senate premises in arresting Trillanes and advised authorities to give fair treatment to Trillanes when the time comes they are able to arrest the senator. Andolong also said that out of respect to the Senate President Tito Sotto's request, the Senate will voluntarily turn over Trillanes to the military police tasked outside the premises of the Senate building while the higher AFP officials continue to negotiate with Sotto. “Nirerespeto naman namin ang Senado, we are a civilized people first of all,” he said. “We have an officer present there together with MP’s and we trust that they will exercise good judgement in handling the situation. This organization is a very professional organization,” he added.